Size 21.5" full HD display with 16.7 million colors. Wacom DTK-2200/K0-CA CINTIQ 22HD PEN Graphic Tablet has a large-format, high-definition display with Wacom's pressure-sensitive pen with Pressure-sensitive, cordless, battery-free. 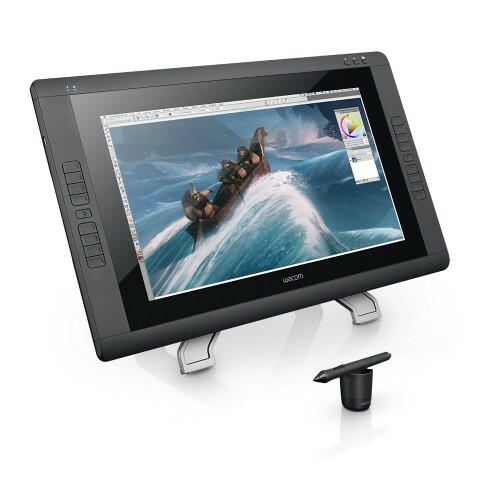 By using this graphics tablet you can easy access to personalized settings which has Touch Strips for zooming, scrolling, changing brush size, and Rotating stand easily adjusts to your favorite working position and viewing angle with 5080 lpi Resolution and 16 (8 on each side) ExpressKeys. In this Wacom's premium, It's pressure-sensitive pen provides natural, on-screen creative control and captures every nuance of your movements with the accuracy and precision of traditional art tools. This also offers both landscape and portrait viewing angles and easily adjusts to preferred working position, so that the work is complete comfort. It's Interactive pen type display has 650 x 400 x 55 mm (25.6 x 15.7 x 2.2 in) size, 54.5 cm (21.5 inch) size screen, maximum 16.7 million displayable colors with using H-IPS LCD Technology. 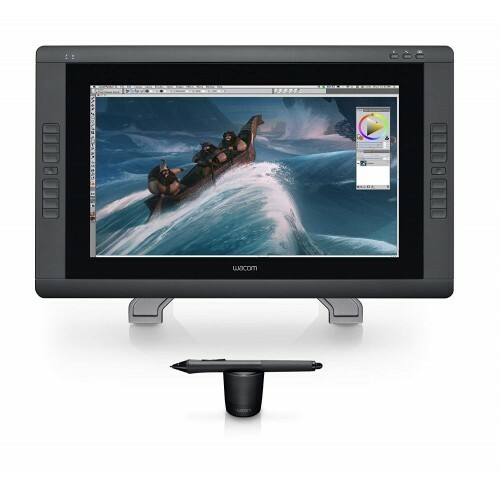 The CINTIQ 22HD PEN Graphic Tablet has 16:9 Aspect Ratio, 178° (89°/89°) H, (89°/89°) V Viewing Angle, 1000:1 Contrast Ratio, 230 cd/m2 Brightness, 14ms Response, 479 x 271 mm (19.5 x 11.5 in) Active Area, Color Gamut 72% Adobe RGB, 6500° K whitepoint default Industry Standard Pre-sets with DVI-I Graphics Input. Here the Tilt Range is 40 degrees with ±60 levels Tilt Recognition. In this tablet, it has Tip switch, 2 side switches, eraser, 6 standard, 3 felt, 1 stroke nibs with exclusive Pen Stand and Latex-free silicone rubber Grip. Radial Menu, Precision Mode, Display Toggle, Dedicated Pan, Scroll, Zoom, Brush Size are included in this graphics tablet. 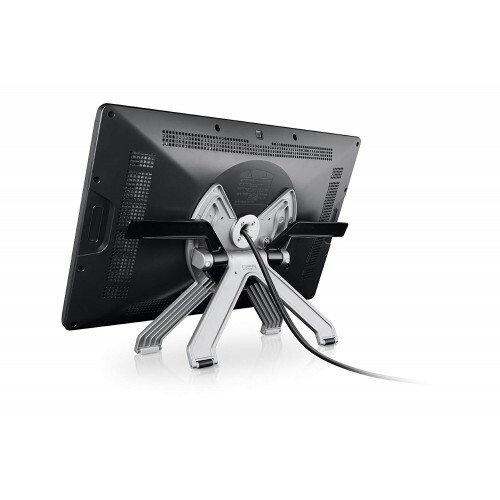 This tablet has different types of connection port like DVI-D, USB (for PC And Mac Connection), DVI-I (Display Connection), USB 2.0 port (Peripheral Connections), 100 to 240 VAC, 50/60Hz for Power Supply Input, 12 VDC, 6.67A for Power Supply Output. It is compitable with Windows 7, 8, & 10 for PC and Mac OS X, 10.10, 10.11, & 10.12 for Mac with providing 01 year of warranty.